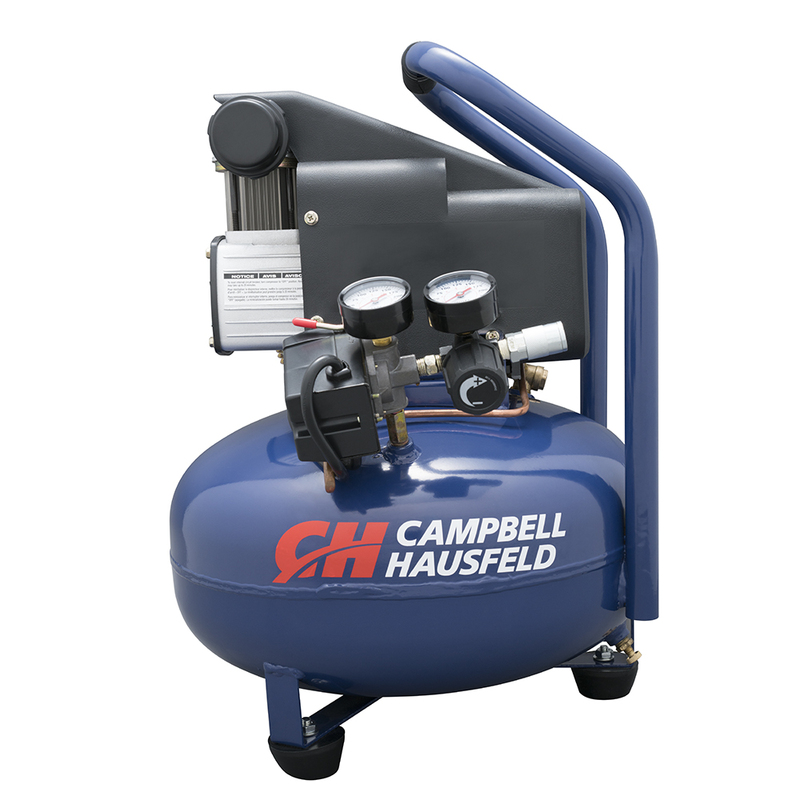 The Campbell Hausfeld 6-gallon pancake air compressor (HM750000AV) is ideal for a workshop or hobbyist. 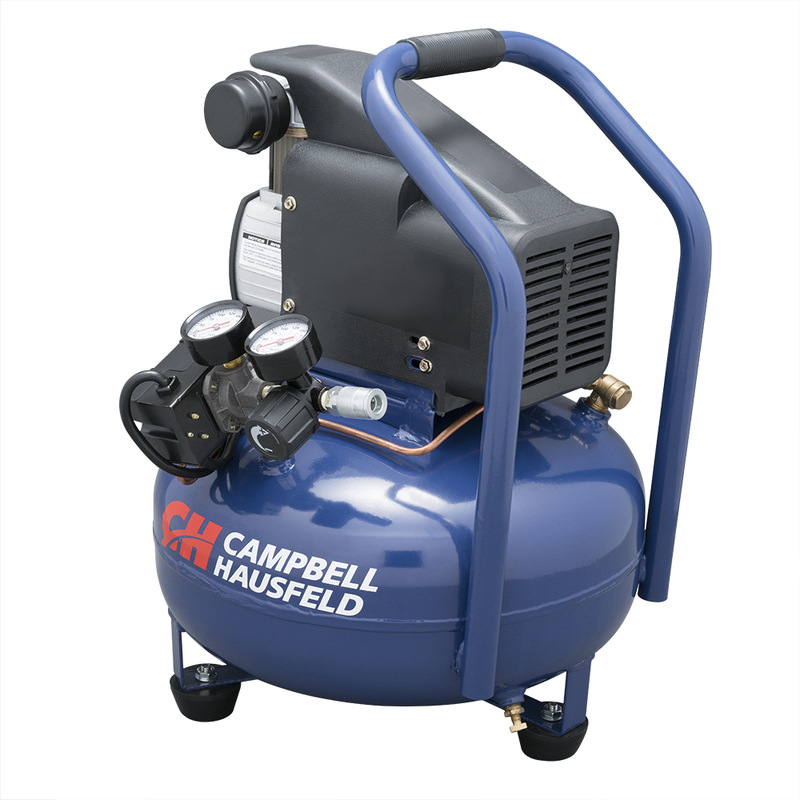 Its portable design with durable steel handle makes this air compressor easy to move from one project to the next and the oilless pump requires no maintenance. 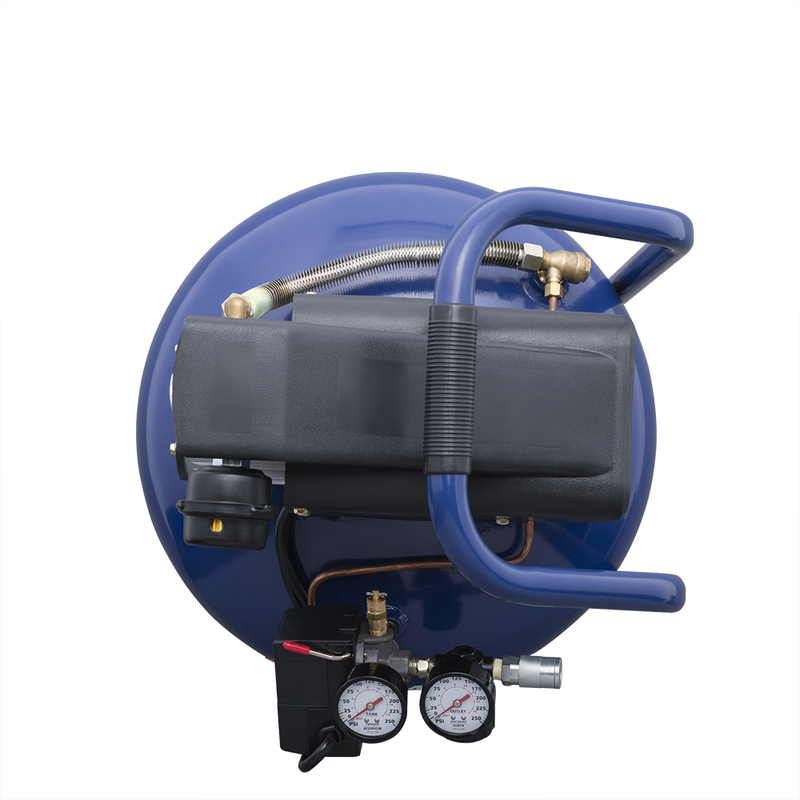 A fully enclosed design keeps the user from contacting moving parts for a safer work experience. 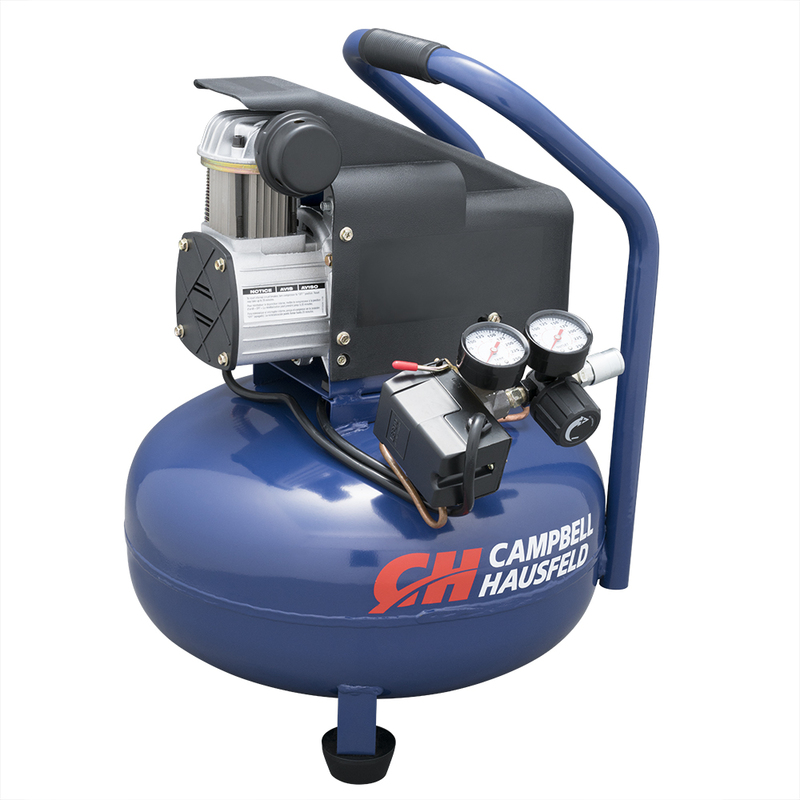 Use this air compressor to power air nailers, air staplers, hobby spray guns and as an inflator for tires and sporting equipment. 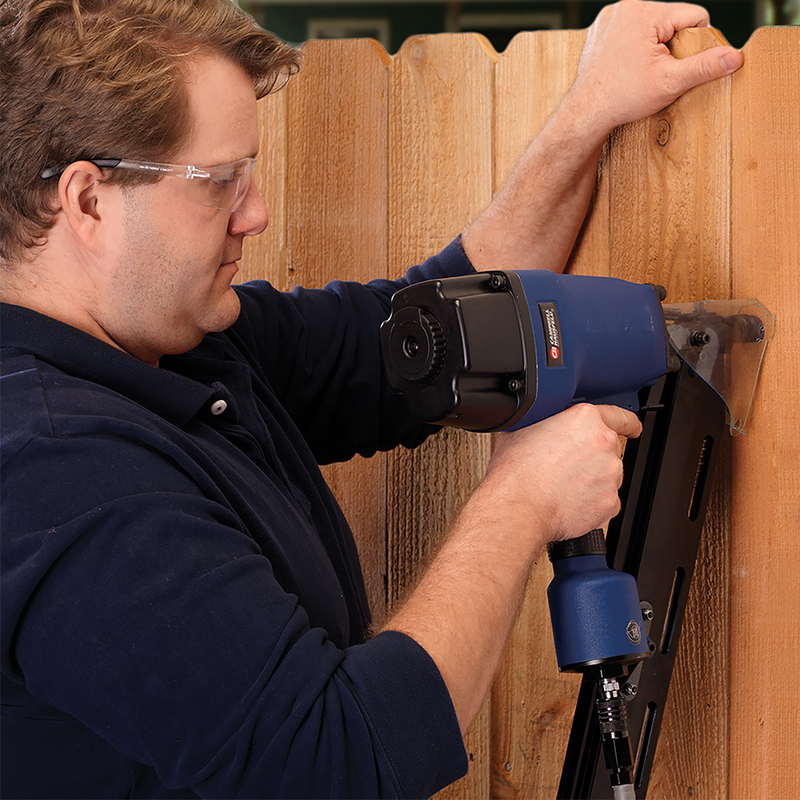 Operates on 120-volt household current. 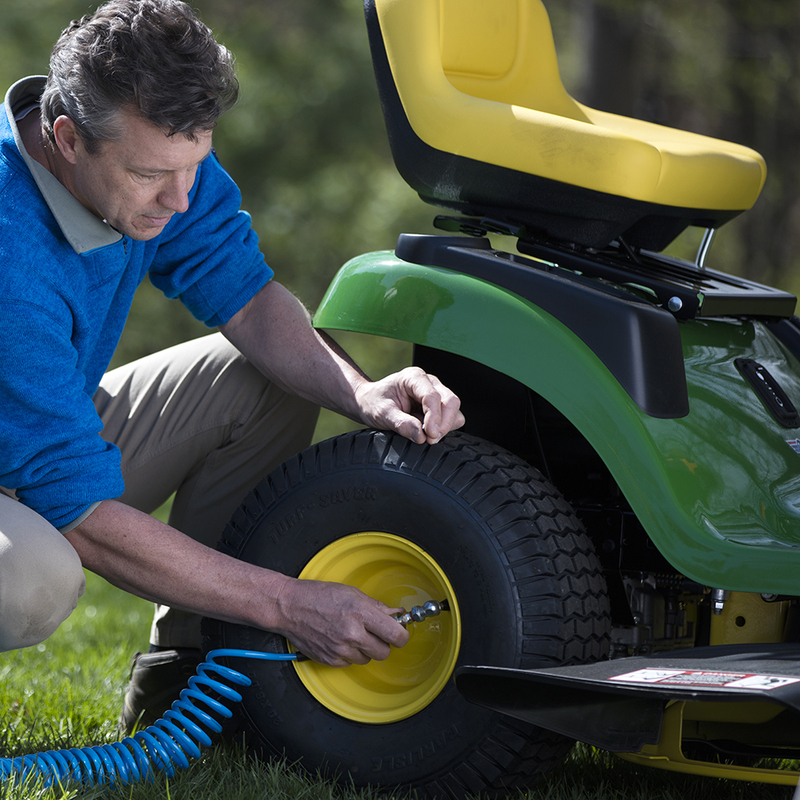 125 Max PSI, 2.5 CFM @ 90 PSI.